Various approaches have been described for metal-on-metal hip resurfacing. We compared the posterolateral and direct lateral approaches for complications, pain, function, and implant survival in the short and medium term for two surgeons in a consecutive series of 790 patients (909 hips; July 1997 to July 2004) followed until July 2007. The direct lateral approach group included 135 resurfacing procedures and the posterolateral group included 774 procedures. There was no difference between the two groups for age or gender. The minimum followup for the anterolateral group was 2 years (mean, 5.1 years; range, 2.0–9.4 years) and for the posterolateral group 2 years (mean, 5.5 years; range, 2.0–9.6 years). There were no differences between the two approaches for complications, additional surgery, implant survival, or Oxford hip scores. The 8-year survival rate was 97.9% (95% confidence interval, 89.9–100) for the direct lateral approach and 97.2% (95% confidence interval, 93.9–99.3) for the posterolateral approach. 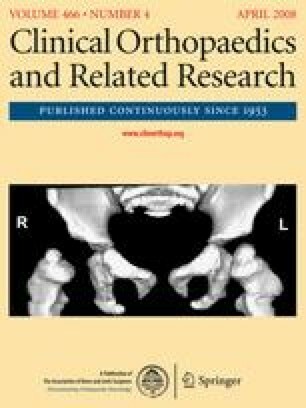 This study indicates both approaches offer excellent pain reduction and return to function after Birmingham hip resurfacing with no difference in survival or in the incidence of complications. An 8-year survival rate of 97% can be achieved using either the posterolateral approach or the direct lateral approach. Level of Evidence: Level III, therapeutic study. See the Guidelines for authors for a complete description of levels of evidence. The institution of the authors has received funding from Smith and Nephew PLC, London, UK. We thank the staff of the Research and Teaching Centre at the Royal Orthopaedic Hospital, Birmingham, for support in the production of this research. NJR Steering Committee. National Joint Registry for England and Wales 3rd Annual Clinical Report. The NJR Centre, Hemel Hempstead, UK, February 2006. Available at: http://www.njrcentre.org.uk/documents/reports/annual/3rd/NJR_AR2_LR.pdf. Accessed July 2007.